The Pittsburgh Steelers did not have the season they wanted. 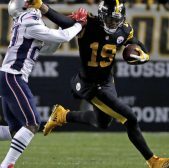 After being the team people thought would be a contender for the AFC crown, the Steelers were up and down all season, ultimately not make the playoffs, to the disappointment of their team and their fans. 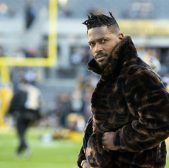 At the end of the season, things began to unravel as wide receiver Antonio Brown was made inactive after a practice incident reportedly directed at quarterback Ben Roethlisberger. And as things kept going this offseason, Brown now wants out and will be joining Le'Veon Bell as ex-Steelers this offseason at some point. With the drama surrounding the Steelers, the onus has seemed to fall on the head coach, Mike Tomlin. 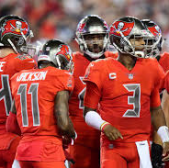 There are rumbling of people that want him gone, viewing his lack of control of the team as the issue, but after the comments of general manager Kevin Colbert, is Tomlin really the one in charge of creating this mess? 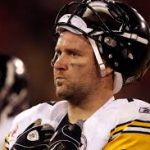 When addressing Ben Roethlisberger and him calling out teammates on radio shows, Colbert would stand by his quarterback, saying he is the "unquestioned leader of the team and that he can call out teammates as he seems fit". With him saying that, it basically meant he could do what he wanted to do. When you give a player that type of power, it can be a dangerous thing. 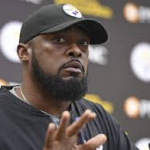 Players, even if they don't say anything, will see these things and in this instance, Brown spoke on it with his outburst and with his social media posts eluding to the treatment other players get in comparison to Roethlisberger. 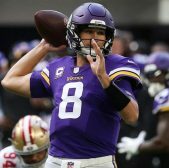 While it is understandable that a quarterback gets treated a little better than the rest of the team, it isn't right that Ben gets to do what he wants when he wants. That type of action allowed by the general manager creates division on the team can ultimately can fold a team. While everyone put the issue on Le'Veon Bell or Antonio Brown and even Mike Tomlin, what it seems is the problem stemmed from upstairs and not on the field. Colbert not only messed up in allowing Ben to be the way he is, he also missed in the personnel department a lot. Besides Ryan Shazier and TJ Watt, Colbert hasn't exactly hit on players he has drafted. And in some free agent decisions, he hasn't exactly struck gold either. The Steelers had always been known for developing players and sprinkling in vets via trade or free agency, but that formula has not been the same in years. The result of that is a broken culture in Pittsburgh that needs fixing. Firing Tomlin isn't the answer to the equation, although he could use some adjustments to his staff. The biggest issue is the front office and it seems they never get the brunt of the grief Tomlin gets. Tomlin only coaches and cultivates what he has and is given. He doesn't draft the players. Colbert is being allowed to ruin what the Steelers had and Tomlin is taking the blame for it. If Tomlin really wanted to be smart, he would take his resume to another city that needs a coach. He may go to a team needing some things, but at least he wouldn't continue to be the scapegoat for what the front office is doing to destroy the team.